Many people who use a car every day for work could help the environment by arranging to car share – but sometimes, finding a partner can be a problem. If you work in a busy town or city there’s a reasonable chance that you will know someone in your area who makes a similar journey – but if not, don’t just give up on the idea. It’s worth persevering because cars are responsible for major pollution in urban areas and of course their emissions contribute to global warming. Then there’s the money to be saved by a regular car share arrangement. If you work for a company with more than a handful of staff, the first step to finding a potential sharer is to send an email around to other staff – or you could put up a notice in the staff canteen or on the employee notice board. Give details of your journey – where it’s from and the usual times that you travel – such as weekdays only, to arrive at work by 9am and leave work at 5pm. With any luck, there will be someone in the firm who makes a similar journey. If you work for a large employer such as a major retail company or university it’s worth checking if they already have a car share plan in place. If not, get in touch with the HR department and suggest setting up a working group to draw up a policy and advertise the scheme. Many employers are keen to do their bit for the environment and for some, a car share scheme could help to alleviate problems such as over-demand for parking places so it’s worth drawing up a list of positives so they can see the benefits involved. Many non-drivers haven’t considered the idea of car sharing since they don’t have a vehicle of their own but it is possible to find a car owner who is happy to do all the driving. 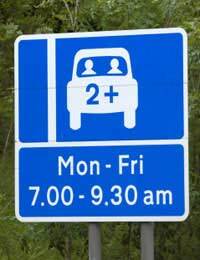 Unless you are lucky enough to spot a colleague driving past your bus stop every day, you could also try the notice board option – or you could join one of a number of websites which specialise in pairing up motorists with passengers. One of the best known schemes is Liftshare which has won awards for its free and well-organised matching system but there are now a number of others including Is Anyone Going To, National Car Share and Share A Car. Of course, personal safety must always be top priority if you join a car share scheme rather than car share with someone you know well. That means it’s really important to read the safety guides and make sure you follow them. As a minimum, Liftshare says you should meet your car share partner in a public place (so don’t arrange to be picked up from your home if you don’t know the person.) When first sharing with someone, you should make sure their car is legal – has insurance, road tax and MOT if needed. You should also ask to see photo identification to check that the person is the registered member you’ve planned to meet. Meeting in a public place means that if there’s anything that troubles you about the journey you can simply opt out. Often, people find regular partners who can share a vehicle on a daily trip to work but it’s also possible to arrange trips to other cities by posting your requirements in a member area. If you regularly travel to another city but don’t need a car on a daily basis, it’s also worth finding out if there are any city car schemes in your area. These involve an annual membership fee and you then pay a fee per hour plus a nominal charge per mile travelled. The City Car Club, which now has vehicles in a number of major cities claims each of its vehicles removes 24 private cars from the road because people use a car only when needed – making use of walking or cycling at other times. A car club can also be the ideal answer for a family struggling to manage with one vehicle. Instead of paying thousands of pounds per year for a second vehicle, you can pay a small membership fee and use a club car when needed. If you are a little wary of joining a car share scheme and travelling with a stranger, it’s worth looking at other options such as contacting parents at your child’s school or asking friends and relatives whether they would be interested in a car share. Even if you don’t work, you could arrange to share regular journeys such as trips to an out-of-town supermarket or a day’s shopping in town. There are other savings too – such as less wear and tear on your car if you share with another owner since you can alternate which car is used. You can also make substantial savings by sharing parking charges.